Office 365 Home Premium has skipped past the 1 million subscribers mark 100 days (or three-and-a-half months) after launching, Microsoft has claimed. While it took slightly longer than Instagram's 2.5 months to reach seven digits, Microsoft has used a company blog post to point out that it arrived at the milestone faster than Hulu Plus (which took five months), Spotify (five months), Dropbox (seven months), Facebook (10 months), and FourSquare (13 months). The software giant claims one subscription of the cloud-based productivity suite has been snapped up every second since January 29, earning it the accolade of being the best selling "new" Office edition to date. That includes Office 365 University and Office 365 ProPlus, in addition to the locally-installed Office 2013, though Microsoft chose not to share sales figures for to such editions. 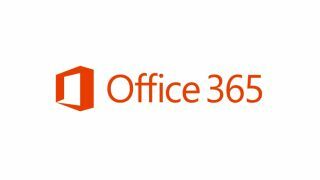 Office 365 Home Premium provides access to the full Office suite (Word, Excel, Powerpoint, Outlook, Onenote, Access, and Publisher) on up to five devices for £79.99 a year. While Microsoft has yet to disclose sales figures for ProPlus, the business-flavoured edition of Office 365, it recently released the results of a study by analyst house 451 Research, which found that more than 52% of organisations see the cloud as beneficial to growing the business. The study, which surveyed 1,500 customers from small, midsized and large organisations in 10 countries, also found that 68% of respondents plan to adopt 'hybrid' cloud models in the next two years, up from 49% today.